Greece cannot be ignored when it comes to countries which attract thousands of tourists annually across the seasons. From being the place where the games of the Olympics originated, to having a rich history in world civilisation, there is so much about Greece that makes people want to visit. The natural resources and islands form part of the reasons it gets many visitors. This page gives you handy tips and tricks on travelling to Greece, and what you should know about the different towns before you pack your bags to visit. It also elaborates on places to visit when you are in Greece, and why they are important. The page also explains what boutique hotels are, since Greece has several of them. It lists the advantages of booking yourself into a boutique hotel rather than a large hotel. For people who have never tried boutique hotels, the page lists characteristics of what makes up boutique hotels. 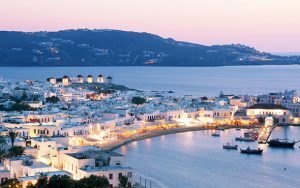 Once you start planning to travel, you will realise that Greece has several places of interest, and it may make narrowing down to where you should visit difficult. This page tries to narrow it down for you by making recommendations. It also explains why some places in Greece are popular, and what makes them unique. If you are seeking somewhere pleasant to stay, the page provides suggestions by describing some of the top hotels in the region. It also lists why they stand out. There is also a list of hotels located on islands for people who want a different view.